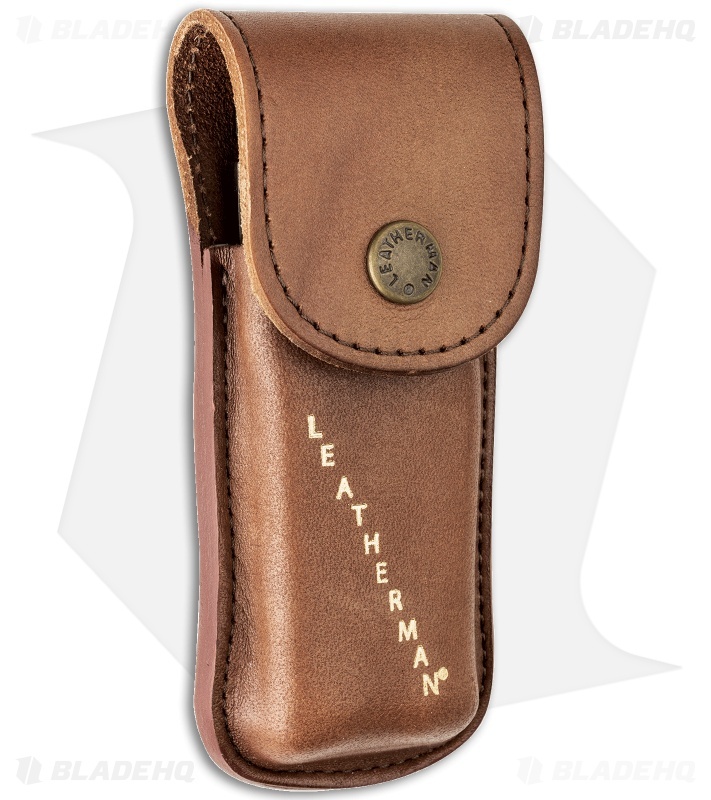 The Leatherman Heritage Edition Charge Plus comes with a limited edition vintage leather sheath. 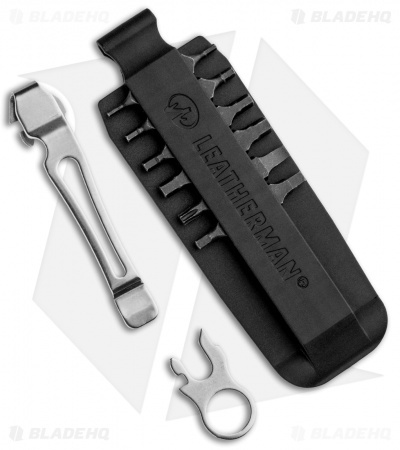 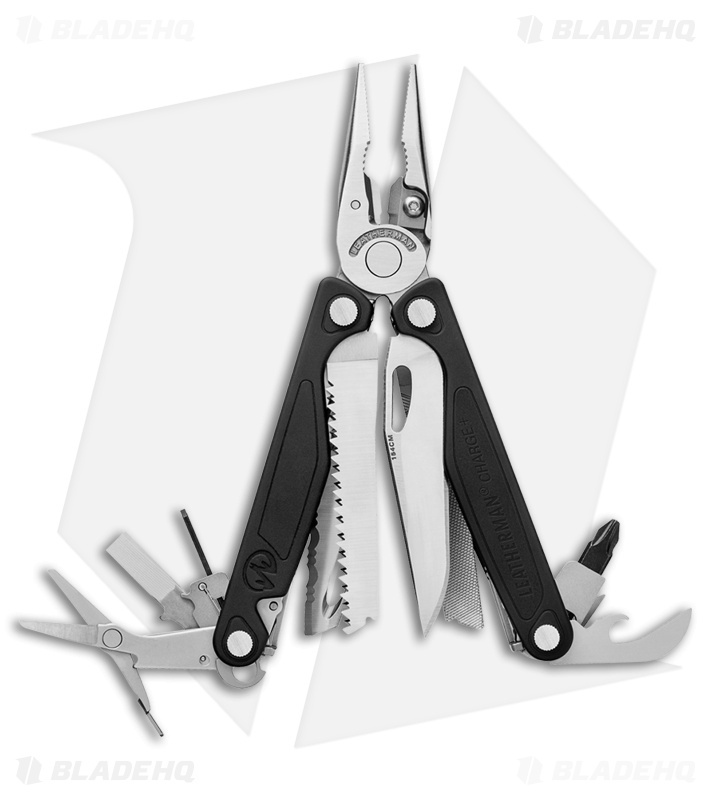 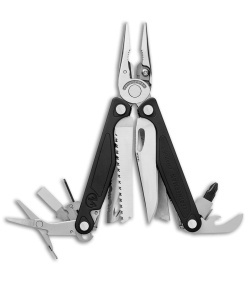 The Leatherman Charge Plus multi-tool is packed with 18 tools, including interchangeable wire cutters, drivers and 8 bits. The Charge Plus has stainless steel construction with hard anodized black 6061-T6 aluminum handle scales. 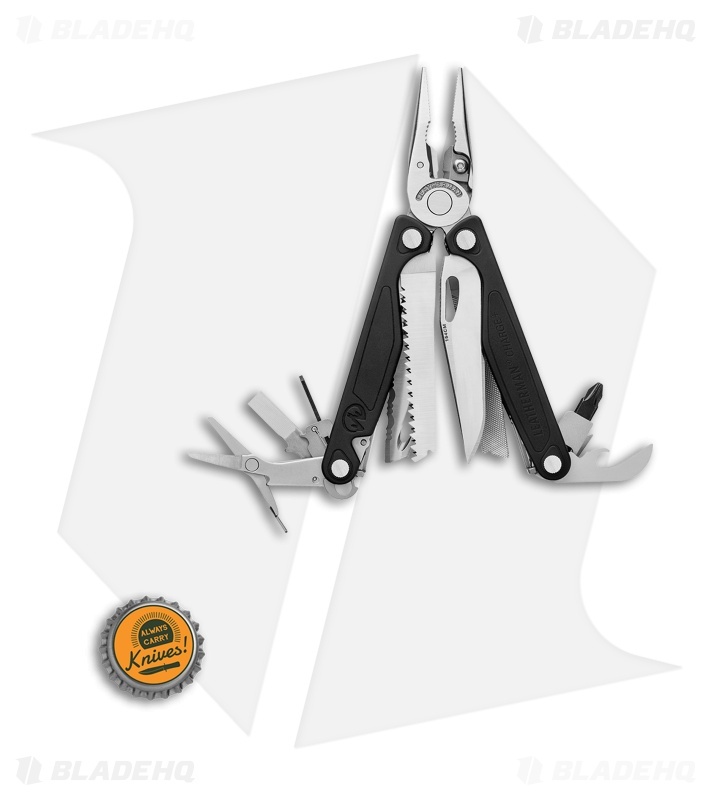 It features a 2.9" 154CM stainless steel blade with a plain cutting edge and a 2.9" 420HC steel blade with a fully serrated edge and an integrated guthook. 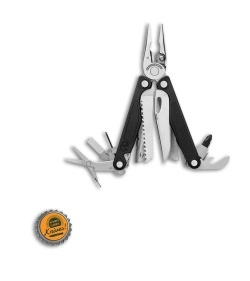 All blades and tools are locking. 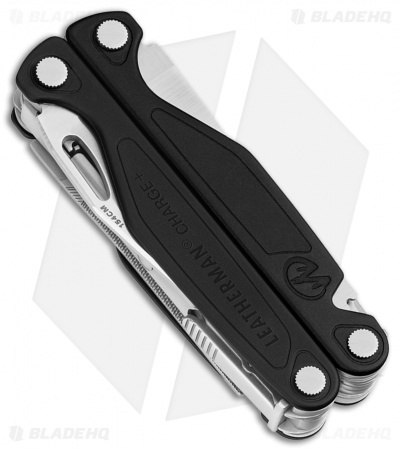 The Charge Plus multi tool includes removable pocket clip and a leather sheath.